The chances are that you have more than one Android device lying around the house. You may have a phone in your pocket, but you probably have a tablet or two lying around as well. A quick check of the screen will let you know how much battery life your Galaxy Note 4 has left, but what about the Nexus 7 that's sitting upstairs? Do you need to plug it in now, or will it be OK for a little longer? You could run upstairs to find out, but you could make life easier by using Potential, a handy mobile and desktop tool that lets you check the battery level of your phones and tablets without having to track them down. 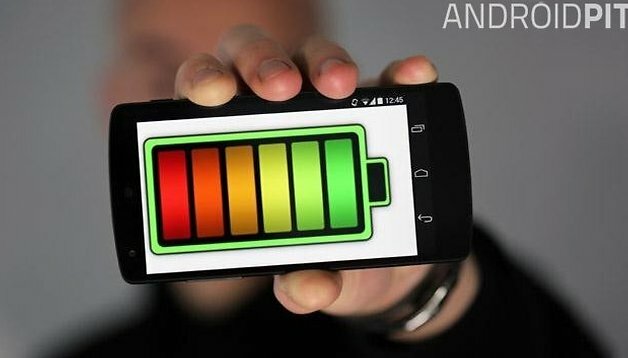 With Potential installed, you can use your phone, tablet or computer to check how long you have left before your Android devices need to be charged up. More than this, you can also check and control the status of wifi and Bluetooth connections. The app is available free of charge and you can grab a copy from Google Play – in fact, you should install it on each of your Android devices. If you want to be able to keep an eye on your Android devices from your Window 8 machine, there is a separate app for you to install on your desktop, laptop, or tablet; you can download it from the Windows Store. Launch the app on your Android phone or tablet, enter your email address and choose a password before clicking the Connect button – you'll receive a confirmation email. You'll then be prompted to enter a name for the device you're currently using so you'll be able to identify it later on. Repeat this process on each of the phones and tablets you want to remotely monitor. The mobile app gives you a simple overview of all of the devices you have added to your account, and you can see at a glance how much battery life each has left. If you see that a particular device is running low and you want to try to maximize battery life, you can tap the wifi or Bluetooth icon to turn the connections off. Should you ever get rid of one of your phones or tablets, tap the menu to the upper left, and select Settings. You can then tap the X next to a device to remove it. You'll notice from this screen that there is an in-app purchase available. This enables you to set up alerts for when battery levels reach a particular level. The Windows 8 app works in much the same way. Fire it up, sign into your account and you'll see a list of all of your linked device to the left, Click each one in turn and you can check the details for individual phones and tablets.